BMW Motorrad India has expanded its line-up with two new motorcycles that have been launched at India Bike Week 2017. 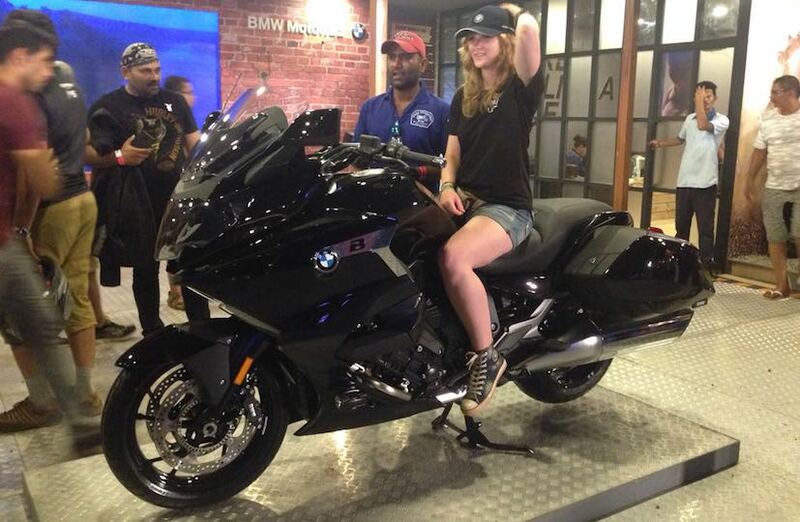 Apart from the R nine T Racer, the new BMW K 1600 B Bagger has been launched and is priced at ₹ 29 lakh (ex-showroom). That’s a price closer to what we predicted on the Bagger, which shares its underpinnings with the K 1600 GT. The new K 1600 B was launched internationally last year and is based on the Concept 101 bagger, and is one of the few full-sized tourers you can get your hands on. Compared to the K 1600 GT, the new BMW K 1600 B gets a new tail section that sits lower, while the seat height too has been reduced. The changes have been made for a more relaxed design, while you also get a shorter windscreen which is electrically adjustable. The fairing design has also been updated on the tourer with new side sections of the wind defectors that are now pushed back further. The panniers have been reworked and offer improved storage space at 37 litres. Power on the BMW K 1600 B comes from the 1649 cc in-line six-cylinder engine that is tuned to churn out 160 bhp at 7750 rpm and 175 Nm of peak torque at 5250 rpm. The motor is paired to a 6-speed transmission. The bike uses a 5.7-inch full colour TFT instrument console but you do need additionally purchase navigation, satellite radio and Bluetooth connecitivity. The bike uses BMW’s proprietary Duolever and Paralever suspension, and braking performance comes from dual floating 320 mm front discs with four-piston calipers and a single 320 mm rear disc. The bike comes with electronically controlled Dynamic ESA chassis along with Road and Cruise riding modes. The tourer also comes with a host of features including ABS Pro, dynamic brake light, Dynamic Traction Control and more. There are three riding modes on offer, while cruise control too is standard along with xenon headlamp, heated grips, seat heating and multi-controller. BMW Motorrad India will be bringing the K 1600 B to the country as a Completely Built Unit (CBU), like its complete range and deliveries will commence in the following weeks.